Imagine white powder sand beaches, clear blue luminous water, and turquoise lagoons, out- of-the world diving and snorkeling experiences, dazzling coral walls and caves, and a fascinating underwater life! No, it’s not a slice of paradise that we’re offering here but something quite close to that. Our most popular beach destination, Maldives is perfect for honeymooners, and for those who are interested in marine life. This is the place to discover pristine tropical islands with swaying palm trees and pure white beaches surrounded by crystalline lagoons in various shades of blue. There is a lot to do in this archipelago of 1,190 low-lying coral islands. A speedboat or a seaplane will takeyou in style to the resort of your choice. If you’re not PADI certified, don’t worry, our chosen resorts offer PADI courses that will give you enough confidence to plunge underwater and discover an amazing range of bright tropical fish, turtles, friendly sharks, and even the world’s largest fish, the whale shark! There are also a whole lot of cruises and safaris you can go on and if you are looking for a bit of adventure, try para sailing. 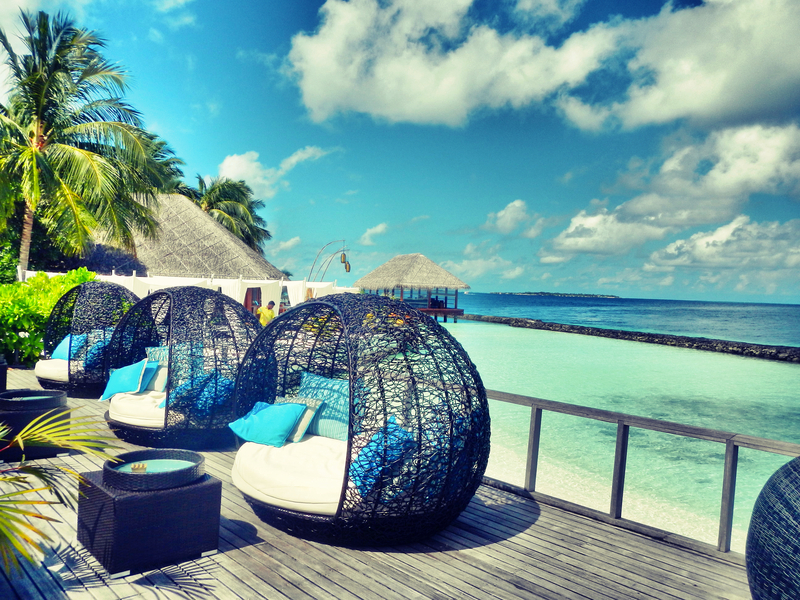 Maldives also has world-class spa and wellness services. On arrival at the airport, you will be received and transferred to the hotel. Check-in to the hotel. Spend the rest of the day relaxing and admiring the views of crystal clear waters. You can seek an experience to relax your senses or indulge yourself in an unabashed luxury in the Spa at the hotel (on direct payment basis). After breakfast spend the day at leisure. You may go for some water sports like snorkeling, wind surfing or have fun on a banana boat ride (on direct payment basis). After breakfast spend the day at leisure. In the evening, you may proceed for the sunset cruise (on direct payment basis). After breakfast spend the day at leisure. After breakfast check-out of the hotel. You will be transferred to the airport for your return flight.